Here is High-voltage Wiring Harness Cable supplier talking about Process solved in the cable development process. If you have any idea about High Temperature Wire And Cable, welcome to contact us and discuss. The aluminum alloy cable conductor adopts 8000 series aluminum alloy and adopts special pressing process. 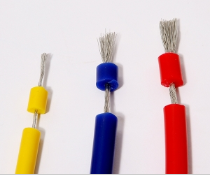 In order to control the outer diameter of the cable, the general tightening coefficient is controlled above 0.92, and the maximum limit of compaction is used to compensate for the shortage of aluminum alloy in volume conductivity. The stranded conductor core, such as a solid conductor, significantly reduces the outer diameter of the core and improves the electrical conductivity. Considering the hardness of the aluminum alloy material, it is necessary to select a suitable mold, stranding speed, and annealing during the pressing and annealing process. The temperature is to ensure the shape of the aluminum alloy conductor is uniform and the pressing effect is excellent. In order to achieve a better pressing effect, different equipment can be used for twisting and pressing according to the core section, and a small section core adopts a tubular stranding machine; a medium section core adopts a roll forming stranding machine; a large section line The core adopts a frame stranding machine. Conductor annealing follows three principles: annealing temperature, annealing time, and disk loading. Annealing temperature: The annealing temperature is higher than the full recrystallization temperature but lower than the temperature at which the crystal grains are excessively grown. Annealing time: Under the condition that the inner and outer conductor monofilaments are fully recrystallized, the lower limit of time is taken as much as possible to improve production efficiency and reduce electric energy consumption. Loading capacity: The amount of conductor loading has a direct influence on the performance of the conductor after annealing. Try to choose the annealing treatment with the same amount of loading, try to avoid annealing during the day, and the filling capacity is best filled once. If you are interested in, please inform us EV@sanew-cable.com.